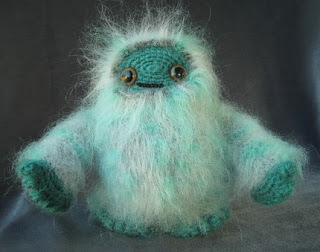 This beautiful Yeti is from Lucy Ravenscar and if you have hand-eye coordination and patience (sadly, I have neither) you can also buy a pattern to make one yourself! I will just have to buy him! The Yeti painting is from Pigdogonline . It is an original (acrylic on canvas). 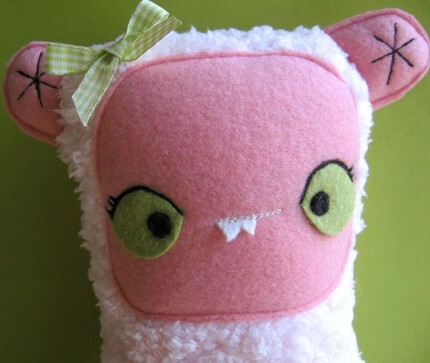 Thank heavens for Etsy! 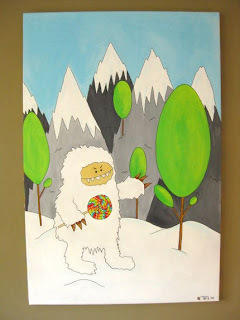 Imagine trying to find a Yeti painting without Etsy! How would you ever decorate? Life would be sad. But, as usual, I digress! So, onward! Our next Yeti friend is Betty the Yeti from Plants & Animals, and the oh so handy (and cute!) 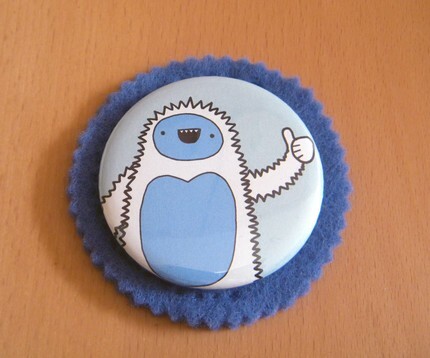 Yeti pocket mirror is from Scientific Culture. What a great weekend! I'm sad it's over. Can anything ever top Yeti weekend? I don't know, but I've been told that Bigfoot/Sasquatch weekend is a possibility! So look out! Yeti weekend was awesome!! I will be anxiously awaiting Bigfoot weekend!